The mighty St. Lawrence River attracts visitors for its beautiful beaches, picnic areas and breathtaking scenery; it also offers a great place to spend the day. 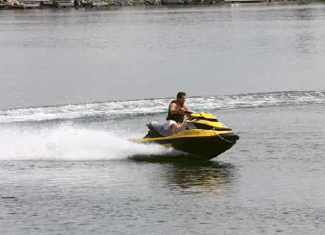 Take advantage of several full-service marinas and convenient boat launches along the river from Iroquois to Lancaster. Enjoy waterskiing and jet-skiing or anchor and head ashore for a beach picnic. The region’s waterway is also a great opportunity to sail, or drift by canoe or kayak past islands full of natural beauty. When under sail in the western stretch of the river, be sure to connect with the Stormont Yacht Club in Long Sault. This river is known around the world as being one of the best fishing hotspots in North America. This angler’s paradise offers opportunities to fish for almost any fresh-water fish, including perch, muskie, walleye, sturgeon, pike and more. Bass and carp fishing are amongst the most popular with a number of organized fishing tournaments each year. Divers, from beginners to experts meet to explore over 40 dive sites throughout the region, from Glen Walter, to Iroquois, including the famous Eastcliffe Hall shipwreck, a Great Lakes cargo ship that sank in the 1970s. Get acquainted with the famed “Lost Villages” underwater cemetery, Rail Bridge and Lock 21—known as one of Canada’s top five shore dives. Cornwall and Stormont, Dundas & Glengarry is a true water lover’s paradise, come and discover our shores! The hub of boating activity on the Cornwall waterfront is Marina 200. The marina is a first-class facility located immediately east of the Cornwall Civic Complex on the St. Lawrence River. Marina 200 will open its door on May 13th and will close October 7th, 2018 at 12 noon for the season. Within Gray’s Creek Conservation Area you will find Gray’s Creek Marina. 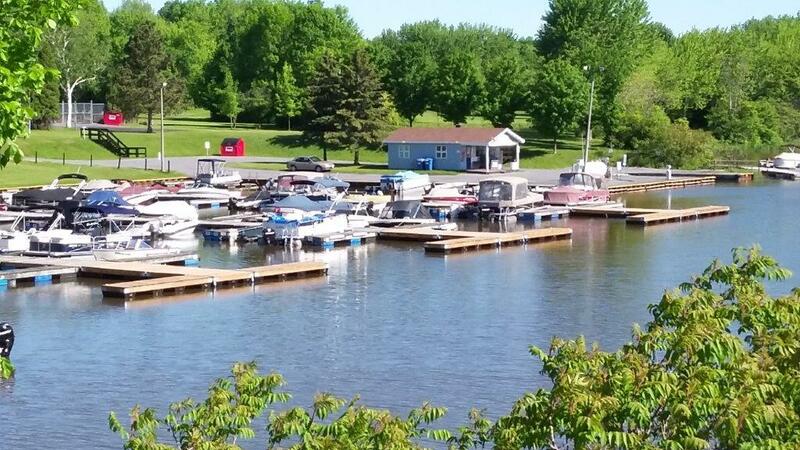 The marina provides boaters and fishermen alike with immediate access to the St. Lawrence River. Located strategically at the mouth of Gray’s Creek, the Marina comfortably provides 128 open slips, which can be rented during the boating season. The Marina will open April 30, 2018.